The Sunday Times has been running its Best Places to Live Guide for five years, which assesses data in the UK based on house prices, school performance and crime rates for example, compiling a comprehensive list of 20 of the UK’s best places to live. While politics, house prices and general standard of living changes year-on-year, some of the locations have a lot in common with each other. A lot of the areas mentioned in the list are famous for their rural, leafy environment, pubs, restaurants and excellent schools. Bristol has been voted once again the best city to live in the UK in 2017. The Sunday Times guide has raked 64 cities and the judges who granted Bristol the number one spot claimed it has plenty of ‘glamorous, creative, hi-tech and professional jobs’. Not to mention, Bristol is known for its opulence and historical culture, and delicious food and drink scene. Sunday Times home editor Helen Davies, commented that ‘the city is a worthy winner thanks to its ideal combination of extraordinary culture, impressive schools, buzzing culinary scene, and exciting redevelopment and community spirit’. A student support advisor at the University of Bristol, cited that ‘Bristol’s such a vibrant and diverse city but without the craziness you can get in a capital city. It has so many different neighbourhoods that all have their own characters and quirks and residents generally love where they live. It’s a young city but without being overrun by students and the city certainly doesn’t grind to a halt when they all head off in the summer’. The Mayor of Bristol further notes that he is unsurprisingly ‘chuffed’. He continues to add that ‘it’s a combination of many things from the people to the place itself, but at the heart of it is our cultural diversity and independent spirit’. In addition to Bristol regarded as a thriving and bustling city for any age category, the city also experienced the fastest house price growth than any other major UK city in 2016, according to Hometrack UK Cities House Price Index. It was found that house prices increased by 9.6% across the year to December 2016. According to Rightmove, the majority of sales in Bristol in 2016 were made on terraced properties, which had an average price tag of £278,939. Flats across the city were sold for an average of £223,573, and semi-detached houses of course fetching a healthy average of £308,467. On the whole, Bristol remains one of the leading cities in the UK for homeowners, with an overall average of £287,519. As statistics were revealed, placing an emphasis on Bristol as the leading city for house price growth, it comes as no surprise as the balance shifts away from London. Coupled with Brexit, there has been an uncertainty among investors at home and overseas. In addition to Brexit, stamp duty has changed, putting off high-end buyers due to higher taxes, meaning London house prices have become stagnant, as ONS figures show prices declined 1.2% month-on-month in October 2016. 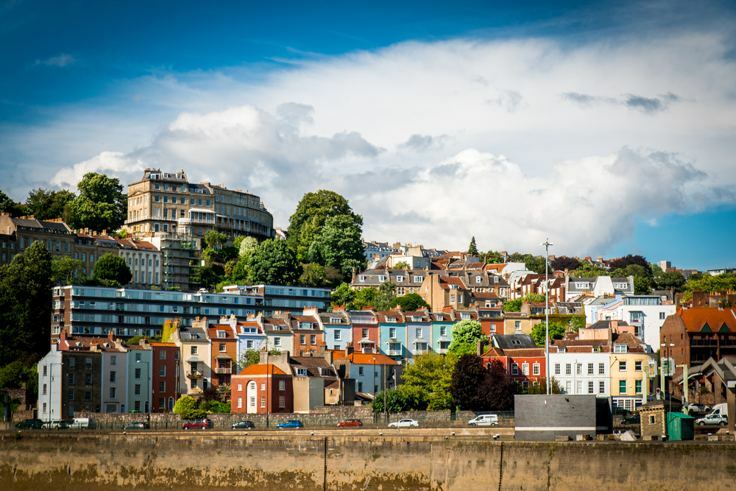 Kate Everett-Allen, an international residential research analyst at Knight Frank commented that ‘Bristol’s boom is being fuelled by low mortgage rates, and a structural undersupply of housing’.